Sickle Cell Anaemia is a disease passed down through families. It is prevalent in many parts of India including Central India, where the prevalence is higher in Andhra Pradesh, Madhya Pradesh, Maharashtra, Gujarat, Karnataka, Chhattisgarh and Odisha. The transplantation of stem cells harvested from cord blood for the treatment of sickle cell disease has been successfully performed in many patients with sickle cell anaemia. 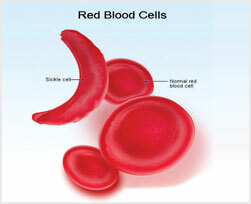 Physicians consider this as a good option for treatment of sickle cell anaemia.